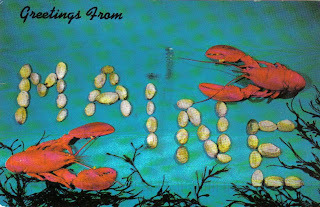 An artist friend sent this classic card from Maine. He's teaching a summer course at Haystack, on Deer Isle, and his wife is taking a book making class. The kids are at home taking care of the cat and dog. Summertime fun all round. 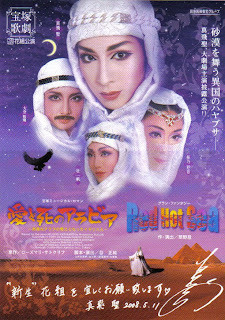 A Kyoto friend was recently dragged off to see the all-girl Takarazuka revue. He sent this card in memory of the outing. Hard to believe that that revue continues to thrive. I too was once dragged off to see a Takarazuka show and it was like being trapped in an elevator. 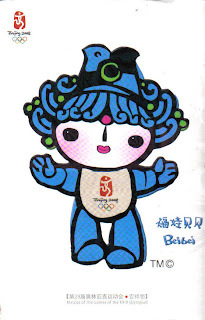 I came home to a clutch of waiting postcards, including this blue version of Beibei, the 2008 Olympics mascot, from my friend Yue. A postcrosser from Haarlem sent this handmade card made with his favorite brand of rolling tobacco. 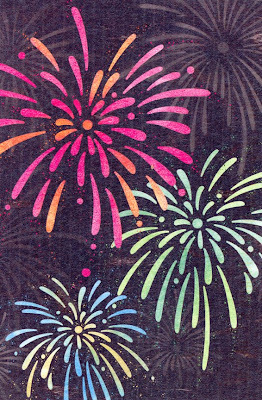 A postcrosser from Sagamihara sent this summer card full of exploding fireworks. 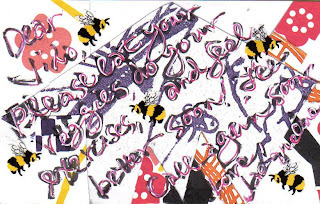 A Canadian postcrosser found this card on a city bus on her way home from school. A whimsical cartoon stamp on a Finnish postcrosser's card. 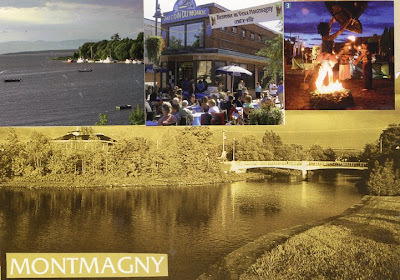 A lovely collage card from a postcrosser living in Montgmagny, Quebec City, Canada. I will send her a handmade card in return. 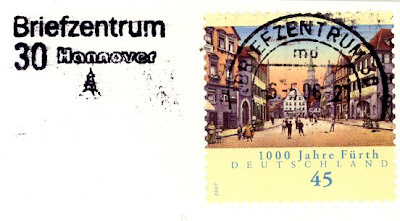 Here's a pretty stamp and cancellation from a postcrosser living in Peine, Germany. I love the arch cancellation over the town square. 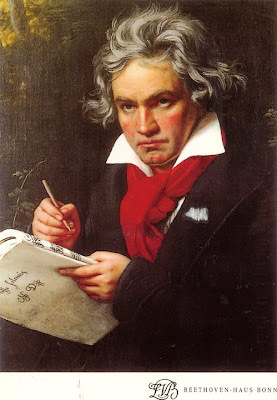 A friend sent this Beethoven card from a recent trip to Bonn. He says much has changed since the last time he visited 24 years ago. It's become more international, with Russian, Turkish, Arabic and English visitors. 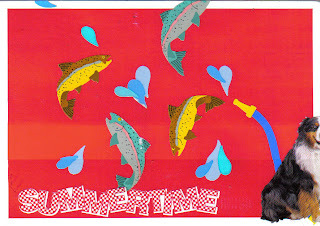 Jean C sent this cool card that she designed on the computer using a cutouts concept. Thanks, Jean! 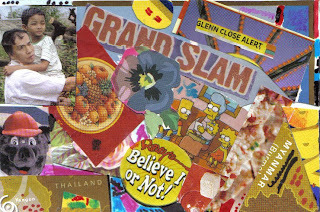 A wonderful collage card from a Dutch soccer fanatic postcrosser! 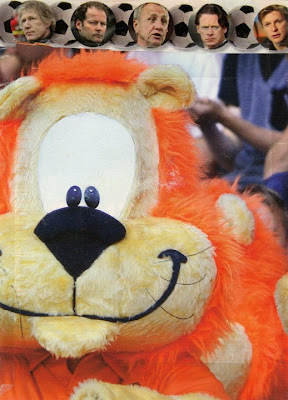 Loeke is the mascot of the Dutch soccor team and when the card was sent it was in the midst of the European championships. 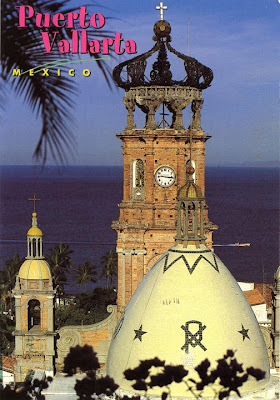 A friend sent this beautiful postcard with an Easter-egg cathedral from Puerto Vallarta. Mexican mail was pretty slow - he went there many weeks ago. This sweet card arrived from a German postcrosser. 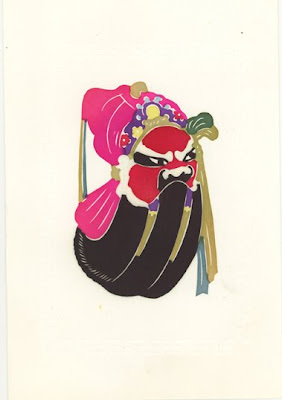 Here is a gorgeous papercut card of a Beijing Opera sent to me from Jacqueline. 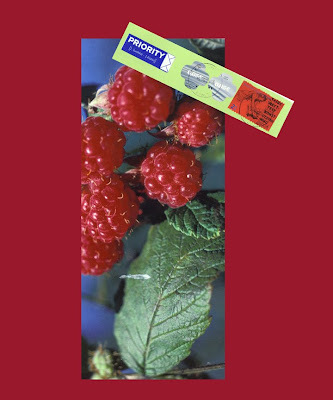 This thin, long card is the first postcrossing card I've received from Poland. It came with beautiful stamps. 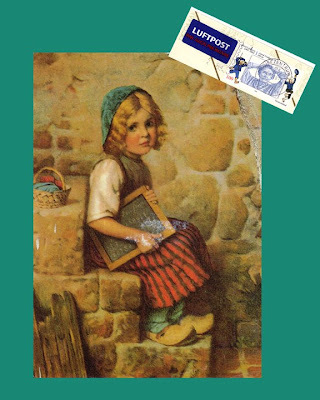 This skinny card was sent by a 9-year old postcrosser from Finland. She lives in a town called Rayrinki. I also thought her stamps were lovely. I picked this card up last night at the Phillies game. 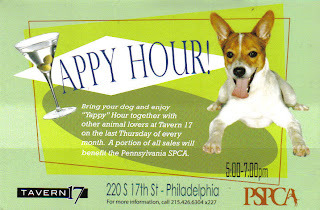 The Philadelphia chapter of the Pennsylvania SPCA was having an adoption drive for dogs and cats. During the game the Phillie Phanatic came out with a poodle wig on and did a funny routine with a cute little dog that had been adopted. The team has now lost five in a row for the first time in over two year and could probably use a yappy hour on today's flight to San Francisco. These whimsical stamps were affixed to postcards from two Finnish postcrossers. It seems amazing that I have yet to receive a duplicate stamp from Finland. 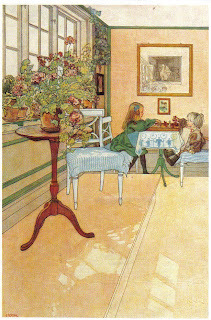 A lovely Carl Larsson postcard, courtesy of a Finnish postcrosser. Perfect on a drowsy summer afternoon. 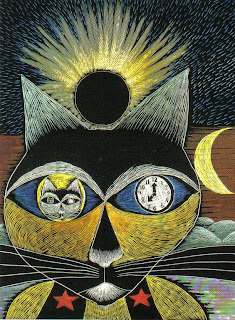 I'm sending this postcard to a Dutch postcrosser with eight cats and a taste for fantasy. It's an illustration for a story by one of my fave writers, Miyazawa Kenji. 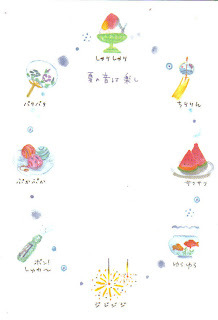 I collected the card years ago while living in Kenji country, in Iwate prefecture, my favorite place in Japan. 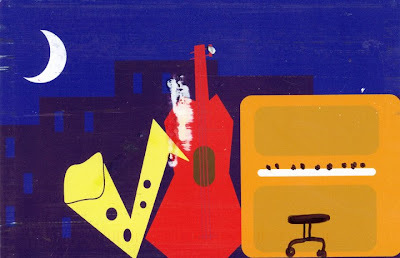 I found this cool ad card (shades of paprika) last December at the great Internet cafe down the street from the City Ring Hotel in Budapest. The streets were slathered with posters for Woody Allen and his jazz orchestra, slated to play a New Year's Eve gig in the city. A friend enclosed this nifty card with a birthday gift. 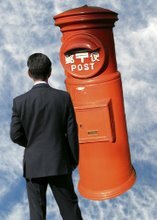 A postcrosser from Great Britain writes that there was a slight accident with red wine and a book. 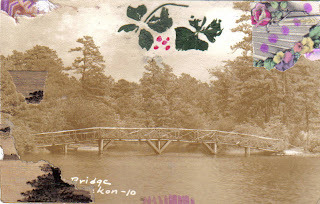 The cover was salvaged for the postcard body. 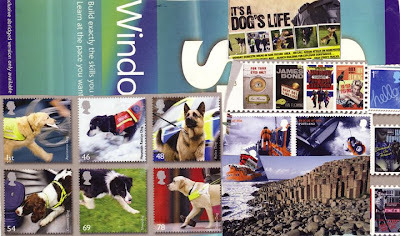 She also got a leaflet on special stamp issues but missed a few of them and those pages were no good anymore. So she made a mosaic of missed stamps. A whimsical idea - thanks so much Mia! A wonderful card from a postcrosser in Israel! She used an old cereal box and says it's the first time she ever made handmade card. 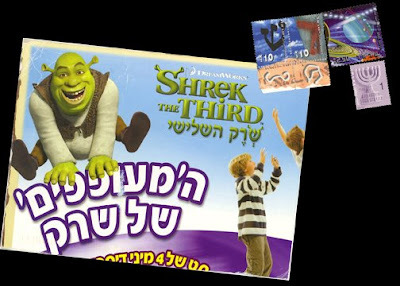 I enjoyed the Hebrew on the box and loved the stamps, especially the fabulous one of the planets. Received a lovely card showing towns along the Slovenian coast. She included lovely stamps with her card. 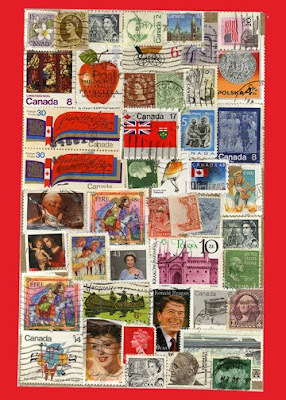 Here is an oversized postcard filled with "faulty"stamps from a Canadian Postcrosser. Many of the stamps are Canadian but there are a few from US, UK and Ireland. 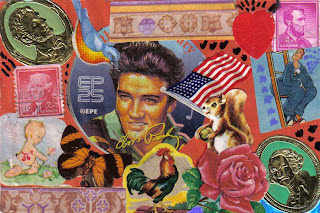 Jessie F. incorporated several elements into this vintage postcard. 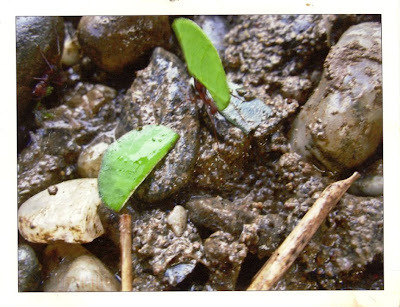 The central one is a four-leaf clover. Her message on the back: "Go, Phillies!" 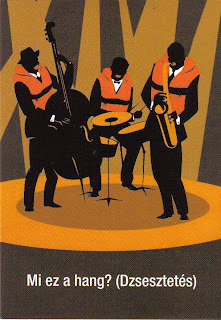 This striking postcard, from the International Society of Railway Travelers (I write for them), came today. 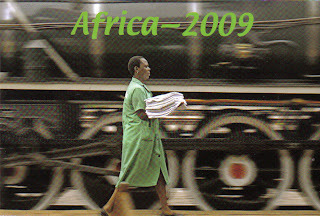 It advertises a trip from Cape Town to Dar es Salaam on the Pride of Africa. I'll be happy even to take the train again from Philadelphia to Baltimore! While looking for a needed image, I came across this quite other one, taken on the road trip late last October in Arizona. 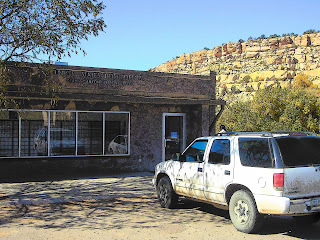 This was taken on the Hopi land part of the trip, at the Keams Canyon Post Office, which was staffed by mellow folks. 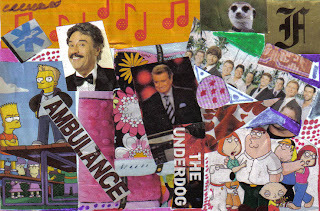 Another card from Jessie F. I'm starting to think that I've "discovered" the Grandma Moses of mail art. The ever-excellent Weinstein Gallery in Minneapolis sent this stunning card to announce Merce My Way, photographs of the Merce Cunningham Dance Company taken by Mikhail Baryshnikov. 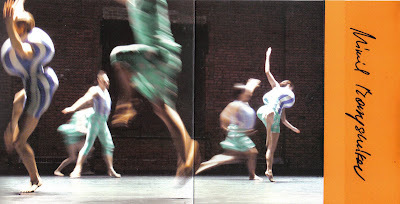 Merce Cunningham is for me a magical summer memory. The first time I saw him perform, with John Cage no less, was one summer night at a rural open-air performance center near New Hope, PA. Merce My Way runs from June 20 to August 20. I would love to see this show. 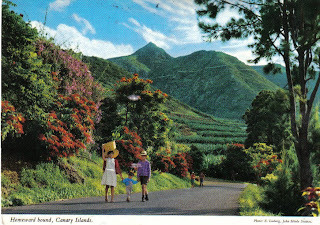 Finnish postcrosser Maffe noticed that I had a lot of cards from Finland on my received list and sent instead this gorgeous view of the Canary Islands. Sweet! And much appreciated! Another card from Jessie F., putting things in context. What can I say except thank you? With temperatures approaching 100 and dewpoints in the high 60's, I turned early to this card showing some sounds of summer: tinkle of wind chimes, crunch of watermelon, sizzle of sparklers, and such. It's going to a postcrosser who rents out apartments for tourists in a picturesque village in the Alsace region of France. Meanwhile, the fans are out, the chimes are out, and maybe tonight I'll get the sparklers going. Mrpotani sent this card she made at Mrs. Grossman's sticker factory. The dog is one of Mrs. G's pets, who are all welcome to roam the factory. Another reason to like Mrs. Grossman's stickers! 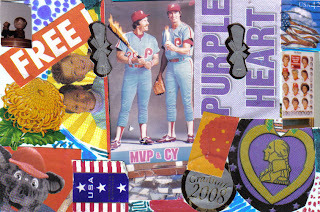 I made this card to send to an ailing friend but realized that, much as I liked it, it was simply not her taste. So I sent a quite staid card of dogs and cats from the ASPCA. The latest card in the Jessie F. series. She certainly does seem to be having fun and I am loving it. Mira sent this happy panda from Finland. 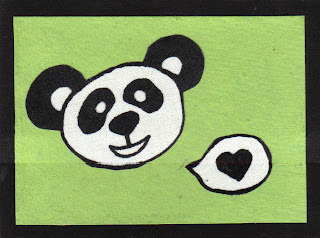 It's one of four panda images she created, then silkscreened onto kitchen towels, a shirt, and a pillow. Mira hopes someday to have her own product line, but just now she's off to summer adventures elsewhere in Europe. Happy trails! Another surprise from Jessie F., my 93-year-old baseball buddy! Jessie is on some kind of serious roll! From first saying she could not possibly make any cards, she has gone to being a regular contributor. I went to a game in Philadelphia today (Cole Hamels and the Phillies shut out the Reds 5-0) with her and she told me that making the cards was "fun." And that another was on the way. Woohoo! 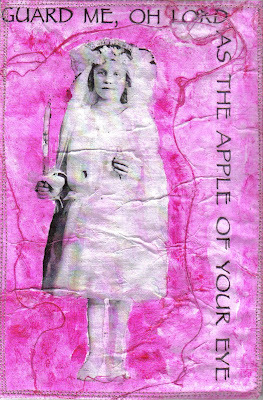 Friend Sandy S. sent this fabric postcard with an image of her mother, c. 1921. 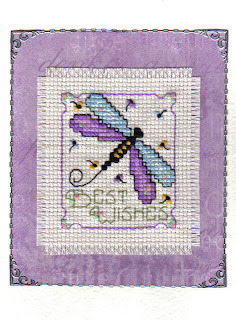 Sandy says she made a laser print of the image, affixed it to muslin with gel medium, applied color wash, and stitched it. Fabulous card! On a day of serial frustrations, this pretty handmade card arrived from Susanna K., a postcrosser in Tampere, Finland, and immediately soothed my spirit. Thanks, Susanna! An invitation came today to the opening of Something Pertaining to God, the Patchwork Quilts of Rosie Lee Tompkins at the National Museum of Women in the Arts. 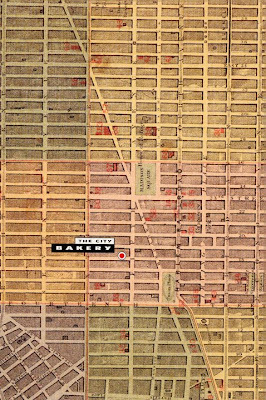 The opening is on June 25 when I shall be in San Francisco. 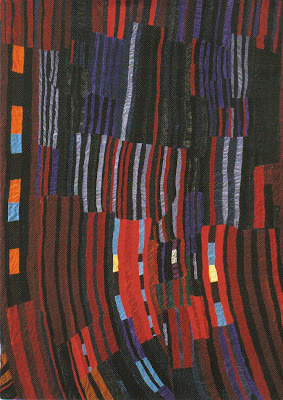 This card shows a Tompkins string quilt, from 1985, which was quilted by Willa Ette Graham.